Autosomal recessive is a pattern of Mendelian inheritance whereby an affected individual possesses two copies of a mutant allele. (In contrast, dominant diseases require that the individual have only one copy of the mutant allele.) 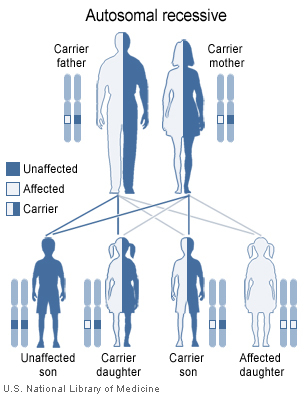 Examples of autosomal recessive diseases include cystic fibrosis, Fanconi anemia, sickle cell disease, and Tay-Sachs disease.